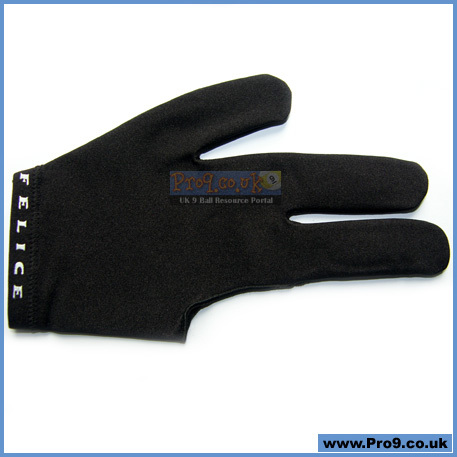 This is a one size fits all glove, (for adults) made from a rather thick and sturdy stretchy material with an elasticated wristband. 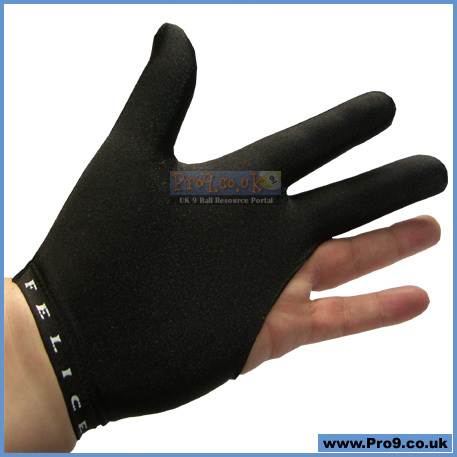 Slightly thicker than other glove materials, this one appears to be a longer lasting affair and even fits my sausage-like fingers. 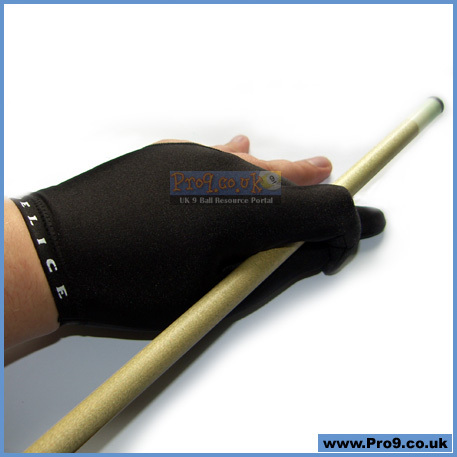 The simple two finger and thumb design is completely reversible and therefore totally suitable for either left or right-handed players. 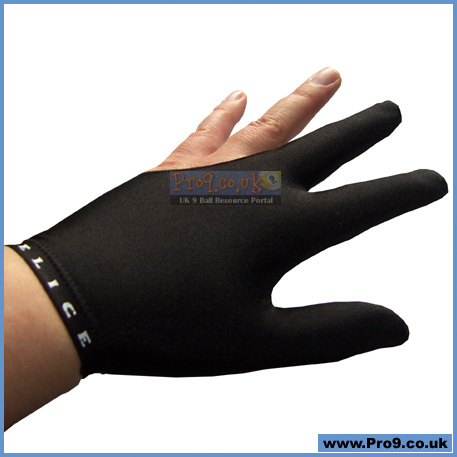 Available in black, the glove feels good and very secure on the hand, and although not the smoothest of materials, it does make cueing effortless.